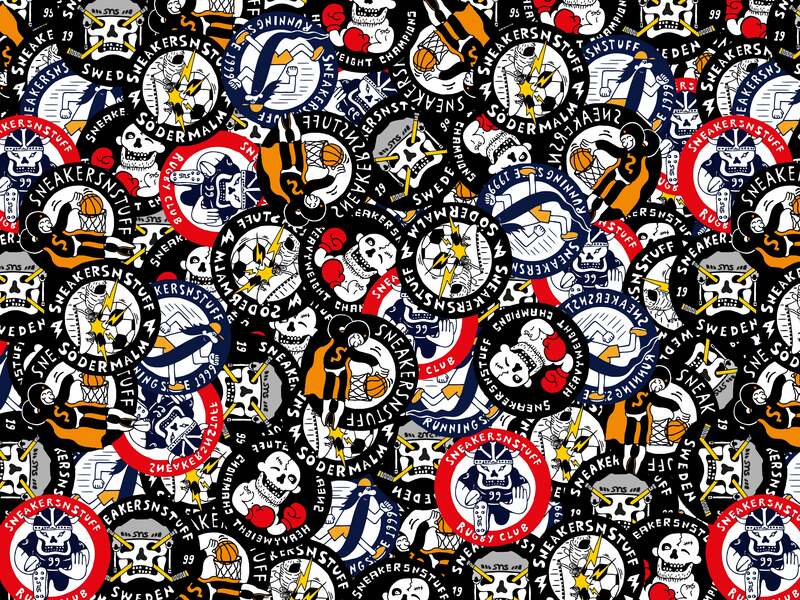 A pattern of all our different sport logos that we have used over the years. All of them is illustrated by the Swedish artist Skinny Digital. "Sneakersnstuff Sports Club" by Sneakersnstuff is being downloaded now! This design is 100% free to use. If you would like to "pay" fluxwith.us or Sneakersnstuff with a social media share below, it would truly be appreciated. Enjoy!